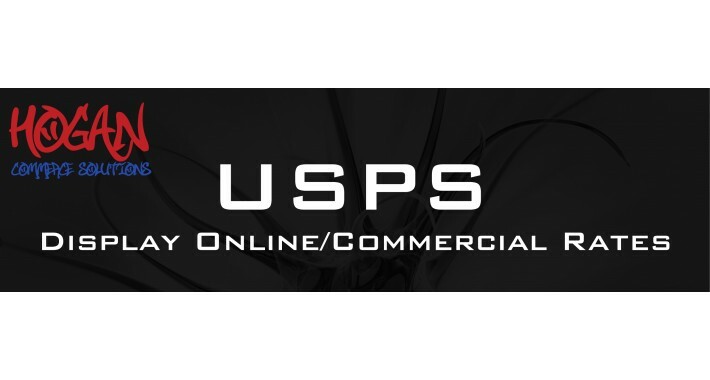 This mod forces USPS to display commercial/online rates for domestic shipping when they are available. For First-Class and other methods that do not have commercial rates, the normal rate is shown. Simply move the XML file into the /vqmod/xml/ directory in your store, and you're done. There are no options to configure. If a commercial rate is available, it will be used and if not, the normal rate will be displayed. If you need to update the USPS module to work properly after the latest API update, try my VQMOD here.